Updated: 10:30 p.m. | Posted: 7:05 p.m. This is a tale of two cities: St. Paul and Stillwater. St. Paul is the Ramsey County seat — where the courts, the county board and the Sheriff's office are based. 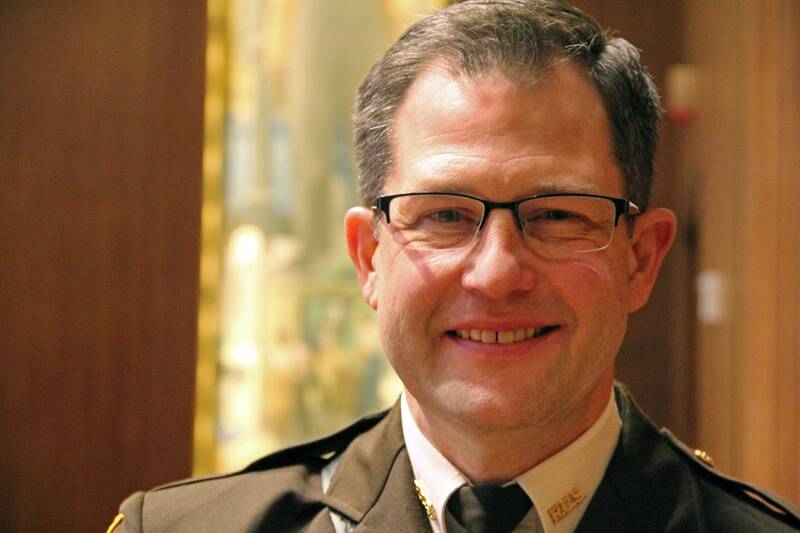 But last year, when two-term Ramsey County Sheriff Matt Bostrom decided to step down for an academic job, his second-in-command Jack Serier lived in Stillwater. That's in Washington County. State law requires a sheriff to live in the county where she or he serves. And former longtime sheriff and current Vadnais Heights mayor Bob Fletcher says that means Serier was ineligible when the county board appointed him to fill out Bostrom's term last January. "There's just a series of facts that really provide prima facia evidence that his residency was not established on January 10th, and any of those facts being true, he would be ineligible to hold office and to assume the office of sheriff," said Fletcher, who was first elected sheriff in 1994. Fletcher has laid out his case in a letter to the Ramsey County Board, and he's also threatening to file a complaint in state court. He points to property records listing Serier's home in Stillwater. Serier counters he was living in St. Paul — in fact, living in then-Sheriff Bostrom's townhome on Payne Avenue. Serier said he signed a month-to-month lease in September 2016, when Bostrom decided to leave. He moved in while his wife lived in Stillwater while their son finished his final year of high school. Serier also produced an Xcel bill for the St. Paul townhome, dated a month before he was sworn in as sheriff. But did he really live there? "I did," said Serier emphatically. "And it was a month of transition, here in the office, I was here 16 hours a day." Serier has also been a Stillwater, Eagan and St. Paul police officer. 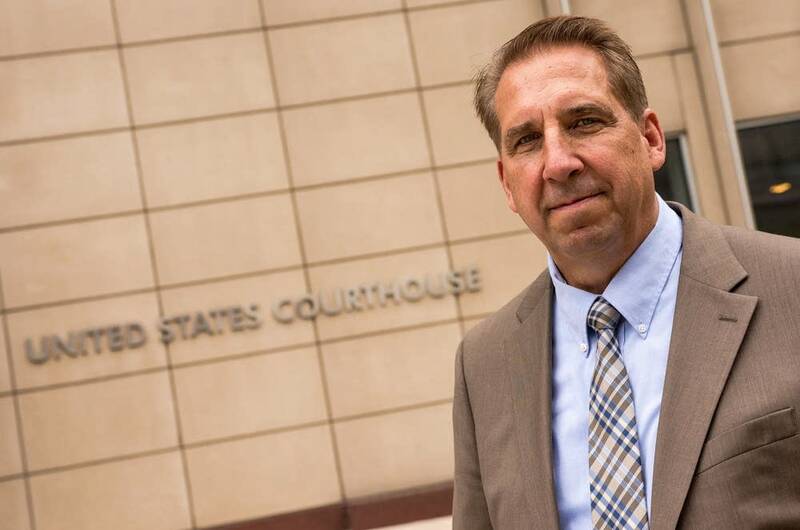 He went to work at the Ramsey County Sheriff's Office when Bostrom won election in 2010, and said he didn't just rent Bostrom's townhome, but later bought it and lives there now. He said he's planning to run for sheriff outright this November. "We've been working every day, frankly seven days a week to try to take this organization and make it a great organization, an organization that's founded on character, an organization that looks to build relationships with community," said Serier. He also said he's fixed long-term problems with jail staffing and diversified the department's workforce. Chair of the Ramsey County board, Victoria Reinhardt is also a co-chair of Serier's election campaign. She said county commissioners didn't have a problem with Serier's residency when they appointed him sheriff, and they were aware he had a home in Stillwater, at least temporarily. "Just as any other couple would probably do when a job opportunity comes up, you make the decision that you're going to take advantage of that opportunity and moving. That's not an unusual thing to happen in families," said Reinhardt of Serier's living arrangement earlier this year. Fletcher, however, said the residency law is clear, and he also cites a letter from Bostrom to his homeowners association that said the Payne Avenue townhome was vacant in January — days after Serier was appointed sheriff. Fletcher is also no stranger to residency issues. His future wife, Kris Reiter, ran for her father's St. Paul city council seat when he died while running for a 2003 re-election, even though she had a home in Shoreview at the time. A handful of voters filed a legal challenge to her eligibility to run, based on her residence. But she argued she'd spent so much time caring for her ailing father at the family home that she qualified to be a resident. She won a court challenge, but lost the election to challenger Lee Helgen. Fletcher said he may head to court as well, over Serier's residency. Fletcher served as sheriff for 16 years until he lost his re-election bid to Bostrom. And with an upcoming November election for sheriff, he said he also hasn't ruled out a run for his old office.